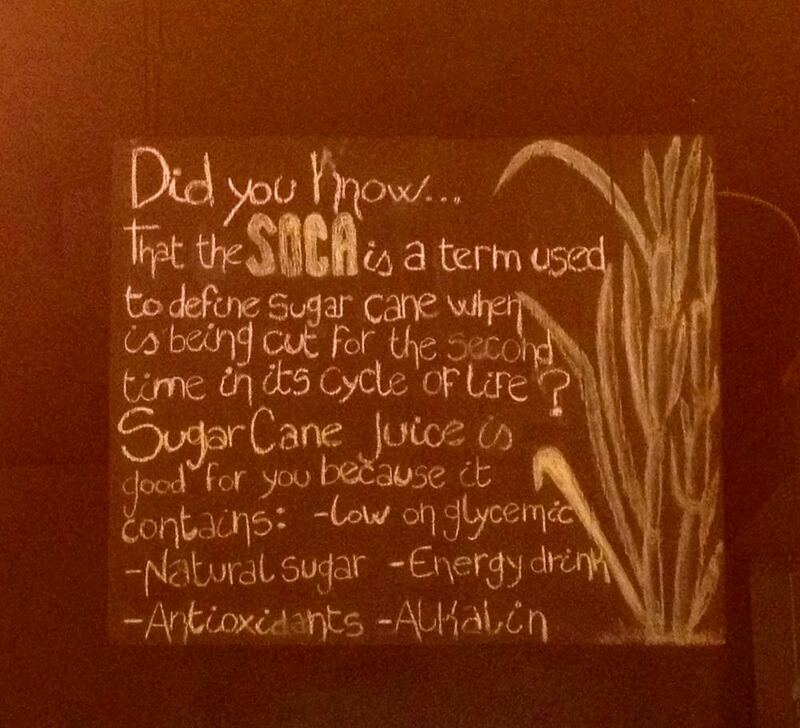 Soca is the Venezuelan name for the second harvest of the sugar cane crop. We know this because there’s a sign above Soca Kitchen’s sugar cane juicer machine that says as much, and because co-owner Gustavo Belisario is happy to elaborate. He is Venezuelan. His family farms sugar cane. Photographs of the fields and cane harvest line the stairs. A shot glass of the grassy, slightly sweet, lightly foaming juice comes from the bar, by way of welcome and, I suppose, to support a sense of place. 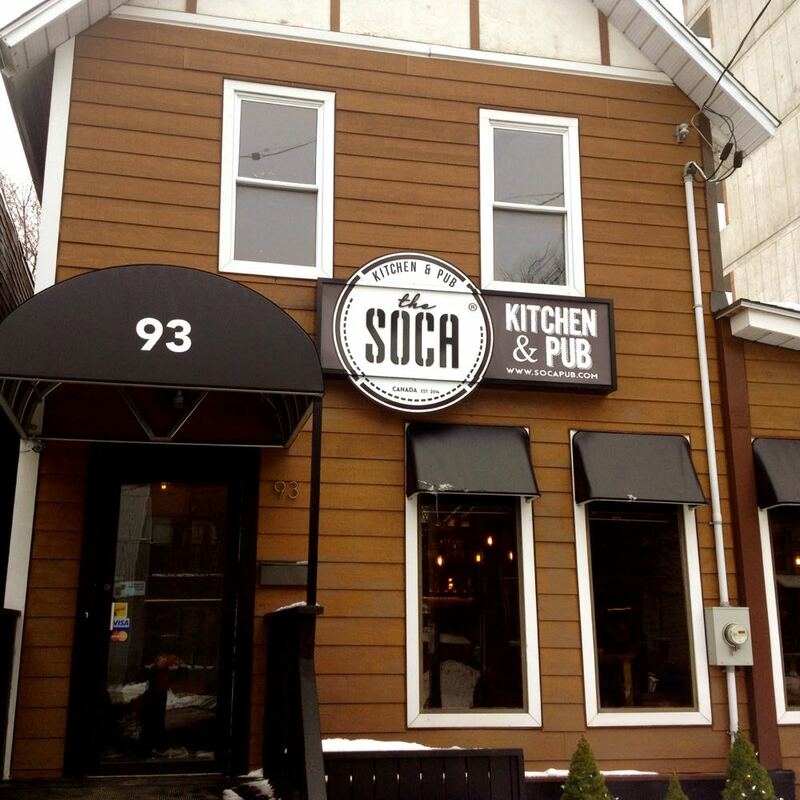 Within 10 minutes of arriving at Soca, we were hooked for no other reason than the kindness shown — a feeling that has survived successive visits. But caring service aside — Soca sweats the small stuff and it shows. It ticks off many pleasure boxes: a fine, neighbourly feel; a dark, comfortable room; a well chosen drinks list, and food that’s immensely satisfying at prices that feel fair. 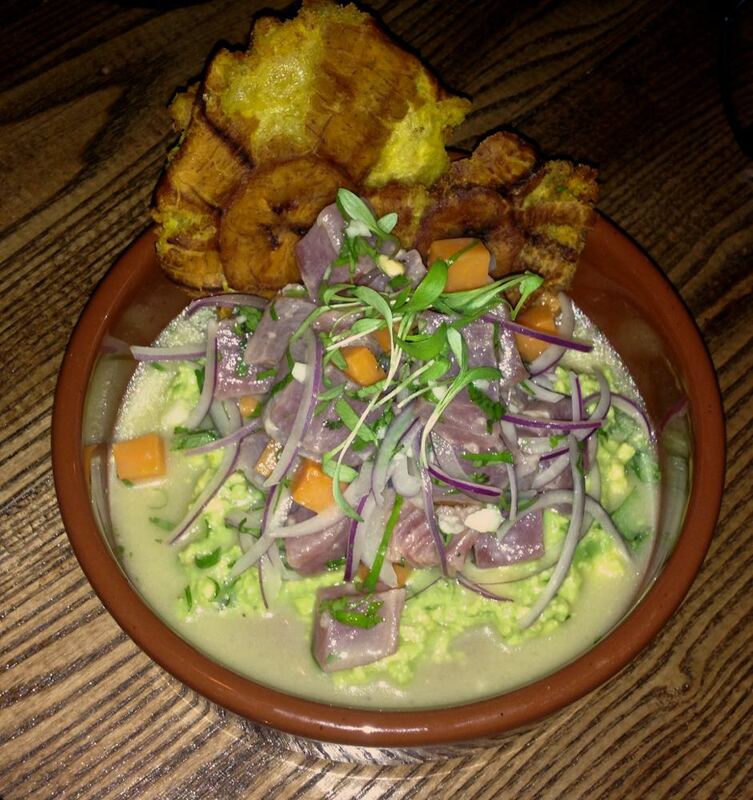 A side of fried plantain adds starch and fat and a titch of sweet to the tart-heat of a well-balanced snapper ceviche. Here, the hunks of raw fish join forces with neat cubes of sweet potato and strings of red onion, and come plopped on a bed of roughly mashed avocado. 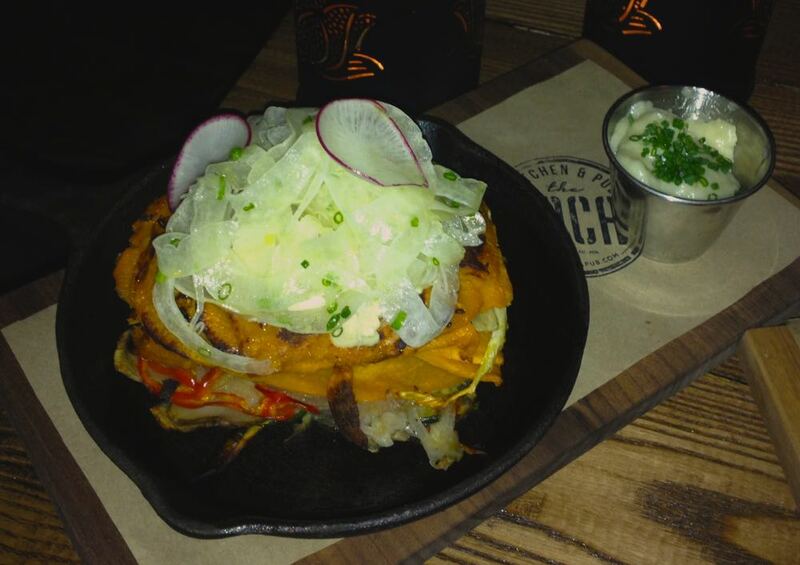 A meal could have been made with the ($12) torta. Possibly my favourite dish, it layered a half dozen vegetables with ribbons of smoky eggplant. Topping the assembly was a fennel slaw and for lubrication, a roasted garlic mayo. 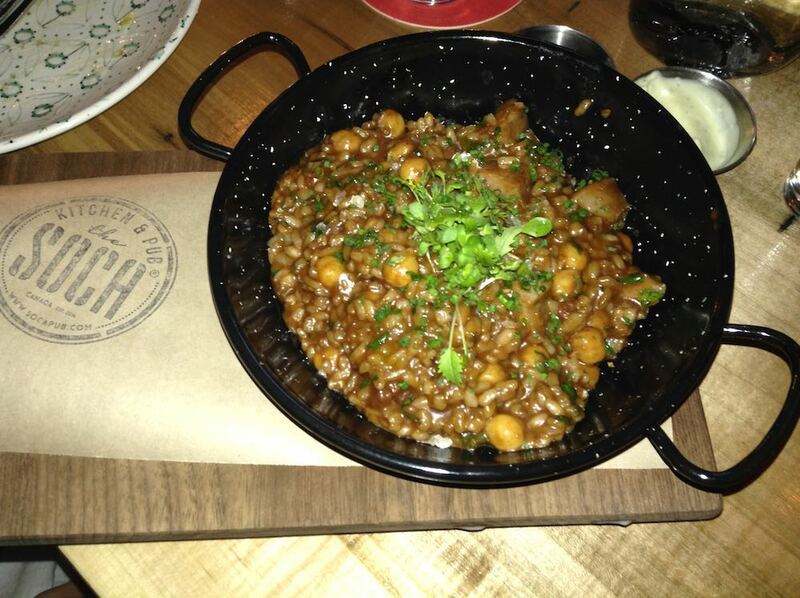 Good too was the mushroom salad. Roasted King eryngii, served in long thin slices, muddled up with ribbons of fennel, topped with black garlic chips and doused with a (lightly — thank you) truffle-oiled balsamic vinaigrette.